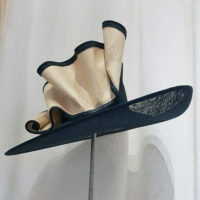 This beautiful hat is based on the iconic one made by Herald and Heart for Andie McDowell and the movie Four Weddings and A Funeral. 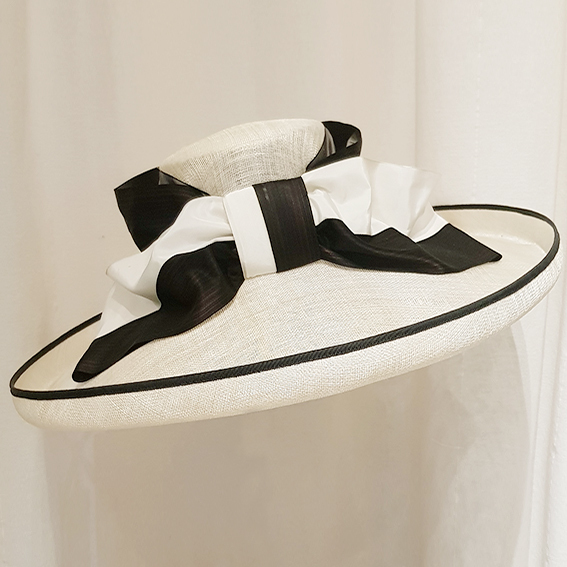 Made in white sinamay with black edge and a Black and White striped giant bow. 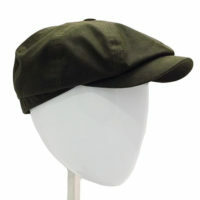 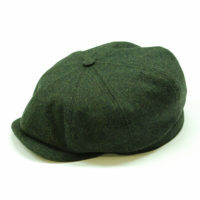 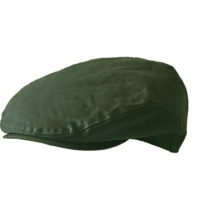 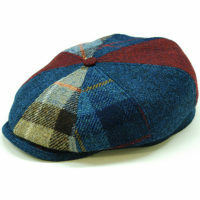 This hat is a one-off and offered at half price due to a small but barely noticeable dent on the side of the brim. 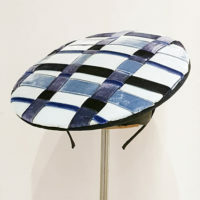 Normal of the shelf price £450. 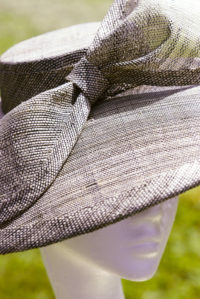 or bespoke in your own colours for £495. 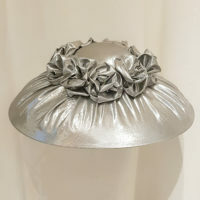 Please note our term and conditions when purchasing millinery.